The 39th Annual World Open was held at the Sheraton Philadelphia City Center Hotel, 17th & Race Streets, Philadelphia, PA.
Grandmasters Gata Kamsky and Michael Adams won the Open Section with 7/9 with Kamsky claiming the 2011 World Open Champion title by virtue of winning a 5-minute vs 3-minute Armageddon game between the current US & British Champions. Sharing the lead by half-point going into the final round, both Kamksy and Adams managed to secure quick draws with their opponents, GMs Ilya Smirin and Timur Gareev respectively, to ensure at least a share of first place. This left the door open for GMs Pentala Harikrishna, Giorgi Kacheishvili and Ray Robson to potentially catch them but Robson and Harikrishna drew with each other while Kacheishvili lost to GM Loek Van Wely. 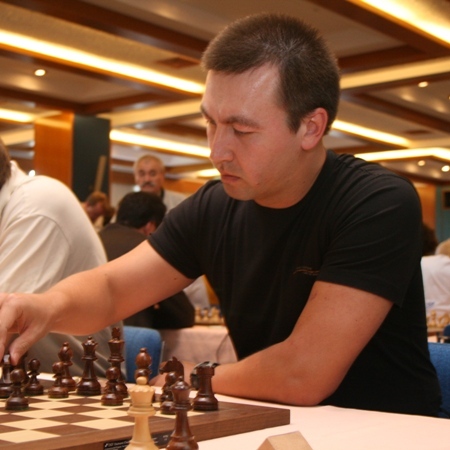 This is the 3rd time Kamsky has been World Open Champion, having won the event in 2006 and 1991. He now joins GM Alex Yermolinsky as the only players to have won the title 3 times.